Love these! Any plant that blooms 3 out of 4 seasons works for me! Completely! We are actually going to be doing another wave of these in our phase 2 of the gardens! Oh man, you guys are still flowering over there! Love the pix … very summery yellow. Thanks! And actually most of our perennials that we planted bloom in the fall here in Texas (that way we can have color since we don’t get the vibrant leaf changing). 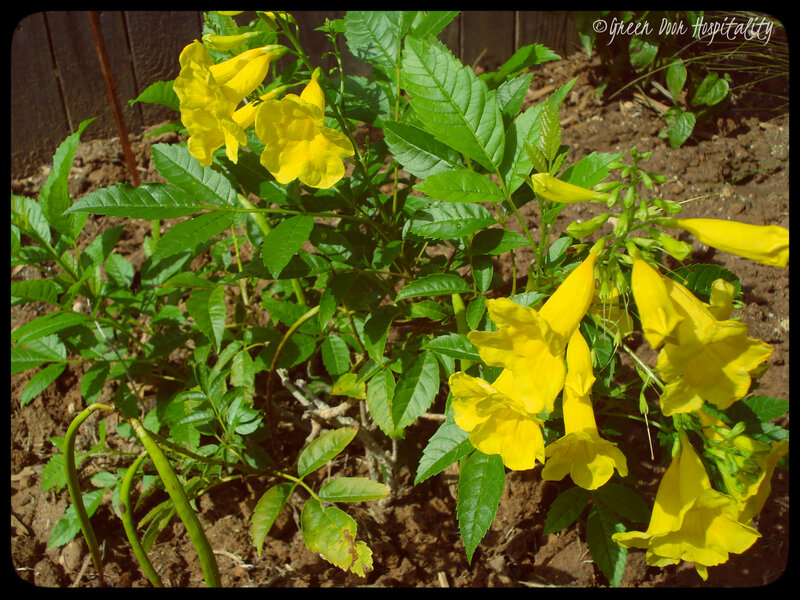 This entry was posted on October 16, 2013 by Jessica Romigh in Wordless Wednesday and tagged Esperanza Yellow Bells, flowers, nature, photography, Texas, Texas native plants.